Anyways, the BBQ pit is super foreign to me and is not my strongest point when it comes to cooking. 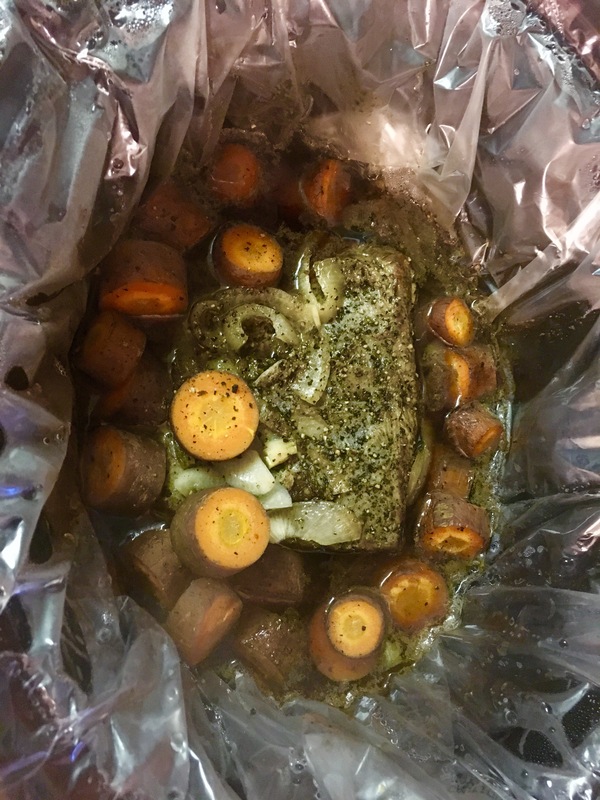 So, I decided to put it in a slow cooker! I covered it with some yellow onions and threw in some cut up carrots, that I also got from the farmers market!. 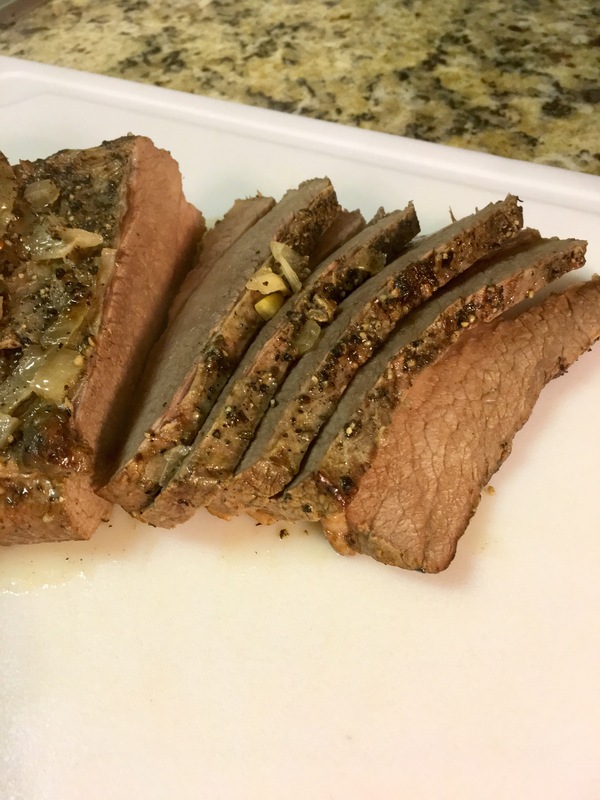 The cut that I purchased was right under 2 pounds and was also super lean so I cooked it on low for 3 hours. If you purchase a bigger cut with lots of fat, then you will want to increase your cooking time to maybe 5-6 hours. I seasoned it with some sea salt and pepper and that was it. It is simple and juicy, so let’s get started! Poured the beef broth in the crock pot and placed the onion at the bottom. Then, season the whole brisket with sea salt and pepper and place into the crock pot. Place the chopped carrots on the side of the brisket. Cook on low for 3 hours! 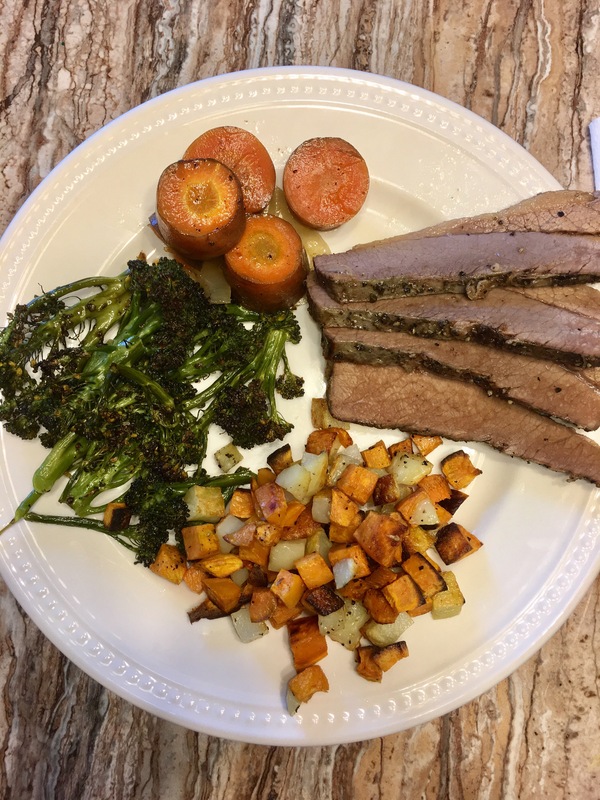 In the picture below, I also prepared some roasted broccoli and roasted sweet potatoes, with some Yukon gold potatoes that needed to be eaten! You could really serve any side with this or make a Paleo broccoli salad/potato salad with it! I hope you all enjoy it an share your experiences with me!